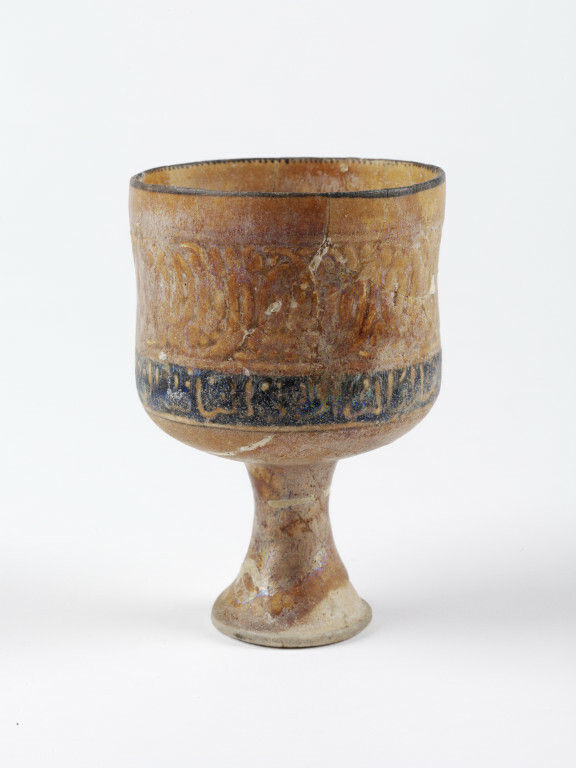 Goblet of grey fritware with decoration pierced and filled with glaze, and painted in blue. Nearly cylindrical bowl with a high spreading foot. Pierced with a band of interlacing scrollwork above a band of Nashky script reserved in white on dark blue. 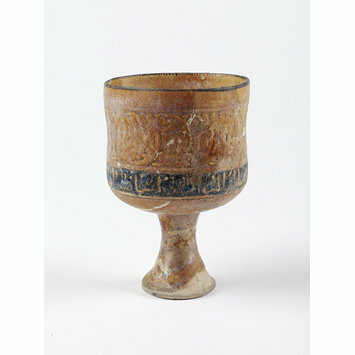 Goblet of grey fritware, nearly cylindrical bowl with a high spreading foot, with decoration pierced and filled with glaze, and painted, Kashan, early 13th century.